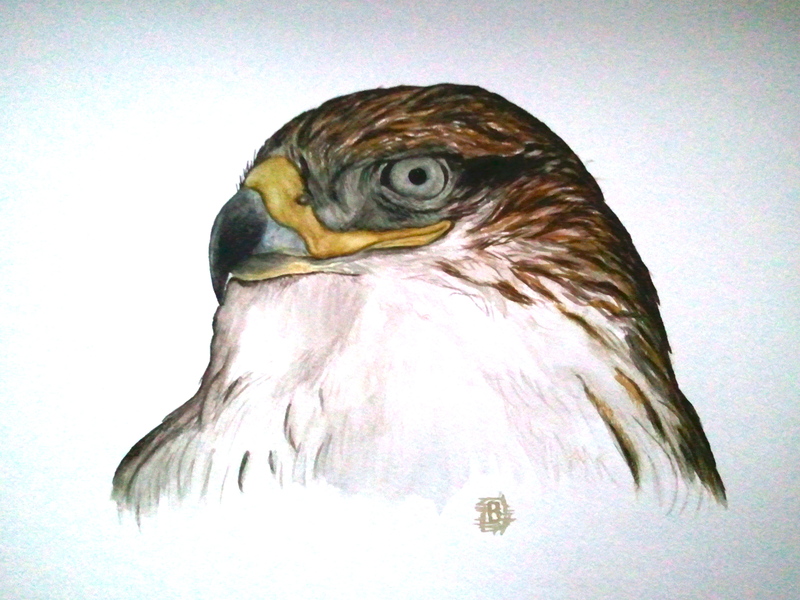 Due to the number of experiences I have had with Buteo regalis this winter, I thought it appropriate to take a break from packing today and paint a headshot of the fierce looking bird. Listening to music and enjoying the mood of the last snow storm I will endure for a time, I created this large portrait of what is now a very familiar bird. I have difficulty accomplishing my goals with watercolors, and this exercise was no different. Still I was pleased enough with the outcome to share. If the bird intrigues, please take the opportunity to easily see the bird as it occupies farmlands for winter. It truly is a regal as its name implies, and I will miss the regular interactions I have had with the bird. Still life goes on and there are others out in the wide world to find and know, and so I will go.